Derrynane House was the summer house of Daniel O Connell, who is credited with bringing about Catholic Emancipation in Ireland (That is that Catholics would have the same rights as Protestants). The house is in the care of the State and is open to the public. 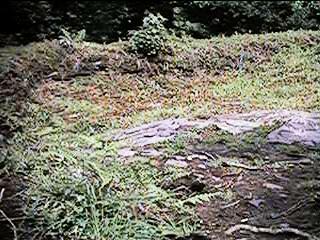 Within the grounds also are the ruins of an abbey, an ogham stone and a ring fort. Click on each of the images for an enlargement. 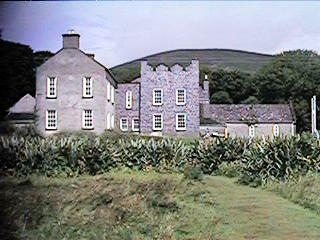 On the left is Derrynane House. It was the summer home of the "Liberator", Daniel O Connell (1775-1847 A.D.) and is a museum containing many paintings and works. 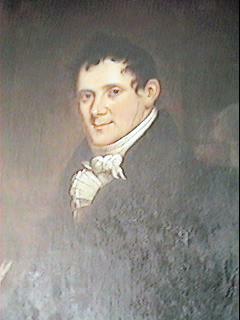 Photo on the right shows the painting of Daniel O Connell in the house. 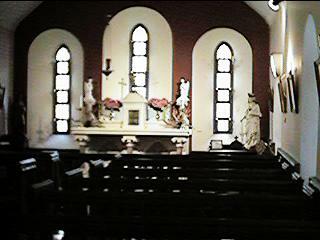 On the left is the photo of the private chapel in Derrynane House. The first mass celebrated here was on Christmas Day in 1844. 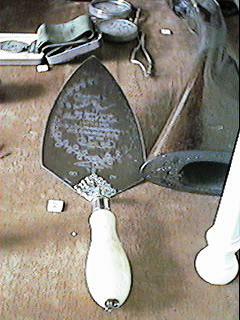 On the right is a silver trowel given by the parishioners of James Street Parish (Dublin) on the First of April 1844. 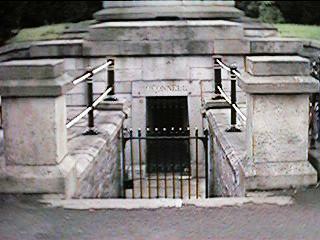 Daniel O Connell in buried in Glasnevin Cemetery in Dublin. 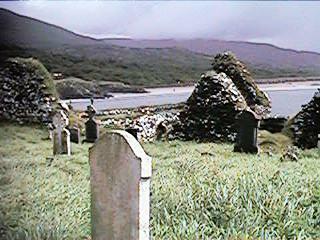 Close to the shore, is the ruins of St Finian's Abbey (700 A.D.) on Abbey Island, Derrynane. 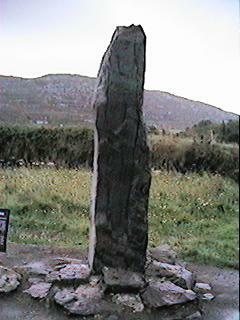 On the right is a photo of an ancient Ogham Stone in the grounds of Derrynane, showing the Ogham Alphabet. Also in the grounds of Derrynane, is an ancient Fort (Caherdaniel Fort) which dates to 600 B.C. 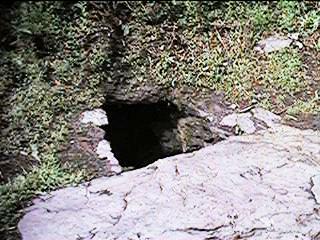 On the right is an entrance way within the circle.